EATS Italia is launching a new home delivery app which means you won’t even have to leave your accommodation for hot, freshly-made pizza. 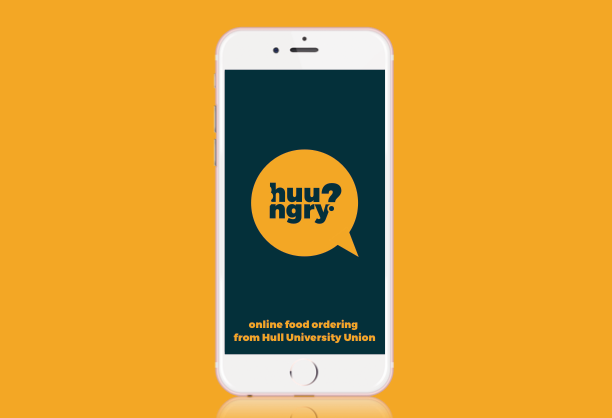 The free app – huungry – will soon be available in the Google and Apple App Stores after numerous suggestions from student staff at Hull University Union, and the success of the Sanc table service app. Delivery is available for students who live in Taylor Court, The Courtyard and Westfield Court from 5-10.30pm, Monday-Friday during semester. Unlike other takeaways in the area, delivery will be completely FREE – no nasty add-on fees! All you have to do is download the huungry app, select Eats Italia and pick from the great selection of made to order pizzas, sides and drinks and get 10% OFF your first order! The competitively-priced menu features all 6 inch pizzas for under £3, with 12 inch pizzas around £6 and a £4.95 meal deal which includes a 6 inch pizza, chips and a drink. This is in direct competition with local takeaways and significantly cheaper than Dominos. Once you’ve ordered, your order will be prepared and delivered to you by an EATS Italia courier. Just come down to reception to receive your pizza. The minimum order for delivery is £5. Matt Steele, Bars and Catering Manager at Hull University Union, said: “We are launching this on the back of the highly successful Sanc app, which saw 1,700 students use the app, placing over 4,500 orders. “The online food delivery market is ever-growing, with more and more people using their phones for food delivery. We wanted to open an additional revenue stream to generate additional income which will then go back into the student experience. We see a large amount of deliveries to student accommodation and want to offer a competitive product. More information on the app launch date is coming soon, make sure to check our Facebook, Twitter and Instagram accounts – just search for Hull Uni Union. We’ll also be running a selection great offers and competitions, don’t miss out!